2018 is a banner year for black creatives and projects with black leads. Films like Black Panther and A Wrinkle in Time have pushed forward black representation in the media in a huge way. In television, we’ve gotten new shows like Black Lightning, grown-ish, and The Chi along with returning series Atlanta. So, for this year’s Black History Month, celebrate the greatest black stories available on Netflix while we wait for more and more to debut. Black Panther smashed box office records across the globe over President’s Day weekend, proving that diversity in storytelling both matters and it can prove commercially successful. We owe much of its success to an almost entirely black cast and the efforts of director Ryan Coogler. And we are a few weeks away from A Wrinkle in Time, directed by Ava DuVernay. We may be nearing the end of the month, but these are projects that can hold us over while we wait for Disney’s upcoming sci-fi adventure. Plus, we should really be watching these all year around. Dee Rees and Virgil Williams brought Hillary Jordan’s novel Mudbound to life in this 2017 Netflix film. It tells the story of two World War II veterans, one white and one black, who return to rural Mississippi after. The film delves into important issues like PTSD and racism. Mudbound received critical acclaim and several Oscar nominations, including Best Adapted Screenplay and two for standout Mary J. Blige. Additionally, Rachel Morrison became the first woman ever nominated for Best Cinematography or her work on the film. Queen of Katwe tells the story of a Ugandan girl named Phiona Mutesi. After learning to play chess at a young age, she goes on to win a series of chess competitions and tournaments. Madina Nalwanga plays Phiona, which also stars David Oyelowo and Lupita Nyong’o. Not only does the film tell the story of a brilliant young black girl, but it’s a compelling story about a young person venturing out into the world outside her comfort zone to thrive. Ryan Coogler made his feature film debut writing and directing Fruitvale Station, a retelling of the events that led to Oscar Grant’s death in 2009. Grant was a young black man killed by a police officer in Oakland. It’s a powerful story that tells the story of Grant’s last day alive, which only serves to reinforce how tragic his death really was. There are still many underrepresented groups in media, and one of the more marginalized is the LGBTQ community. The documentary Paris is Burning is necessary viewing because it thoughtfully explores race, class, gender, and sexuality in American. It focuses on ball culture in the 1980s, centering around black and latino members of the LGBTQ community. Not only is it incredibly educational, but it’s also delightfully entertaining. Based on the 2014 movie of the same name, Dear White People follows various black students at Winchester University as they navigate life at a predominantly white Ivy League university. In the television format, Dear White People stretches the story from the movie, expanding and improving in a way that only television can. It’s important because it shows the types of problems young people face in the college atmosphere. It also takes on various serious topics in a smart and humorous way. In order to include stories about the Afro-Latino community in your Black History Month viewing, check out Celia. The 80-part series tells the story of famous Cuban singer Celia Cruz. Based on the Afro-Latina singer’s real life, Celia follows the young black singer as she faces sexism and racism in a tricky political situation set during in the 1950s. This Black History Month Netflix is bringing attention to groundbreaking films from the first half of the 20th century made by black filmmakers with Pioneers of African-American Cinema. The collection, which includes 20 films, has been completely restored. 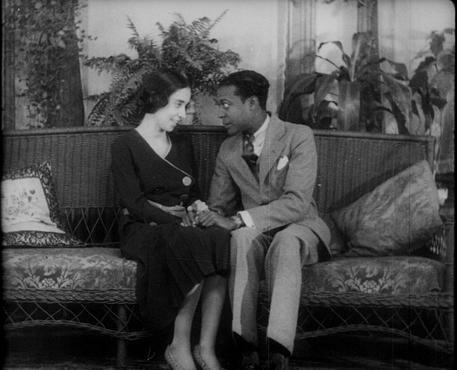 Many of the films were not widely released, so these movies from underrepresented communities during early 20th century were not seen by many people. Chewing Gum embodies what the future of storytelling should look like. It’s a bold story told by creator and star Michaela Coel about a young black woman living in the UK who no longer views her religious mother’s rules as something to live by. So she decides to find her own way in life. What ensues is jarring, hysterical, heartwarming, and, at times, totally outrageous. The future of storytelling should encompass all underrepresented communities should be specific, unique, and interesting. The days of stereotypical portrayals have passed. Moving forward we need more novel stories like Chewing Gum. Marvel superhero series Luke Cage taps into the history of Harlem and tells the story of a begrudging superhero who just wants to keep his community safe. Most characters believe — both the heroes and villains — that they are doing what’s best for their community. As a result, there are wonderful moments where important historical figures are mentioned as a testament to their achievements in a way that makes each mention feel like a historical Easter egg. Ava DuVernay wrote and directed Middle of Nowhere, and what we get is a story about a woman struggling to keep her life together while a loved one was incarcerated. Emayatzy Corinealdi plays a registered nurse named Ruby whose husband Derek (Omari Hardwick) is serving an eight-year prison sentence. It’s a powerful story about an American experience that while all-to-common, is fairly seen dramatized. Reggie Yates is a black British man who travels the world and explores a variety of complex topics in Outside Man. In this docuseries, Yates travels to countries including Russia and South Africa to tackle topics like racism, gay rights, and gun violence. Yates heads to Chicago to discuss gun violence in one installment while in another he explores race relations and the public’s relationship with police. Ava DuVernay explored the “intersection of race, justice and mass incarceration in the United States” in 2016 documentary 13th. The film is an in-depth look into the prison-industrial complex and the film works through DuVernay’s contention that slavery has been perpetuated through various practices since the American Civil War. The film not only looks at the history of the United States, but also puts it in context of America in its current state in an effort to support DuVernay’s thesis. Music documentary Hip-Hop Evolution takes viewers on a journey to learn about the early decades of hip-hop. The genre of music is incredibly important to the African-American community, so Black History Month could be a good time for an education. Plus, in 2017 R&B/Hip-Hop was the year’s most popular genre in the U.S., so it’s also a genre of music that is thriving. Trevor Noah is a brilliant comedian, but he also has a talent for sharing his experience of being born and raised in South Africa. His success in the United States has provided the opportunity for Americans to obtain a better understanding of Africa. Noah combines both in his Netflix comedy special Trevor Noah: African American. Storytelling of LGBTQ people of color is not in abundance, but Pariah is a film that is a wonderful addition to the stories out there. The film is about a lesbian teen living in the Bronx struggling to balance being herself with her friends and hiding her sexuality from her religious parents. Media should reflect the experiences of every kind of person out there and this film added another type of story to the list of Black experiences in media. Jessica Williams shines as Jessica James in 2017 Netflix romantic comedy The Incredible Jessica James. James is bold and dope, which makes her someone viewers want to see win. Armed with her love of theater, the aspiring playwright tries to put her romantic life back on track after a break-up. The film is light-hearted and fun but still feels incredibly important. Maya Angelou: And Still I Rise is an important look at the life of the poet and civil rights activist. Angelou’s own words are played over rare photo and videos in order to showcase her life. Many prominent figures offer commentary, including Oprah Winfrey, Common, and even Bill and Hillary Clinton.